"All life should be cherished and protected. We are pro-life." 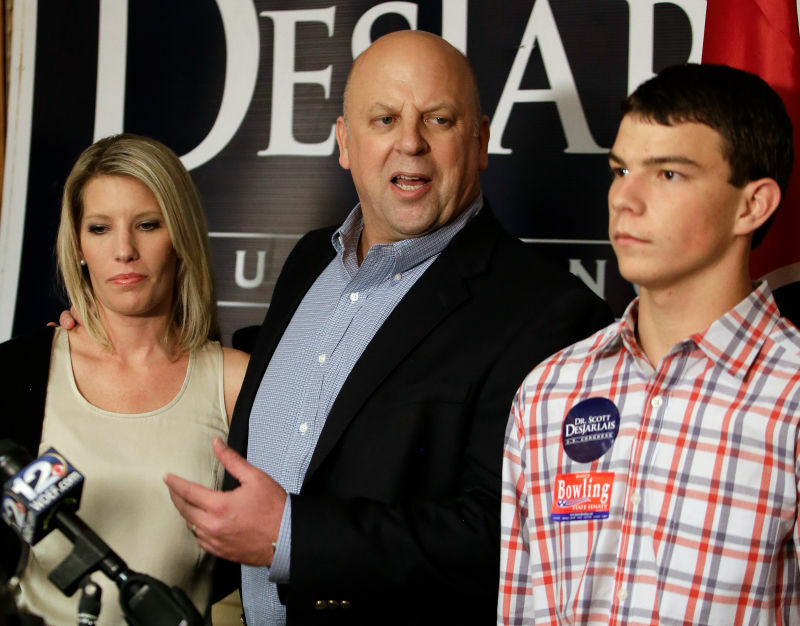 DesJarlais and his wife got divorced in 2001 — thanks to the whole mistress thing — and in recently released transcripts, DesJarlais testified that he and his wife mutually agreed for her to have two abortions. Shocking, I know. In the testimony, DesJarlais called the decisions "a very difficult and poor choice." And yet, a choice! What an incredible concept. Of course, the voters in Tennessee's 4th district haven't seen much wrong with DesJarlais' M.O. of saying one thing and doing another, as he was re-elected to a second term in this past election. So, here's a campaign slogan for when DesJarlais is up for re-election in 2014: "Scott DesJarlais: Three-Time Aborter, Three-Term Congressman." It has a nice ring to it, no?